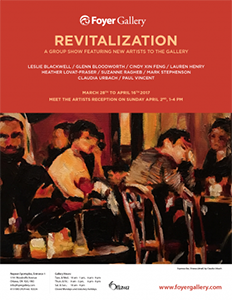 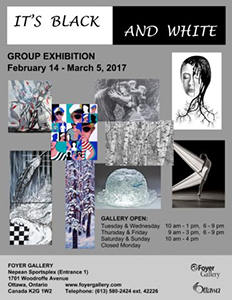 It’s Black and White is a group show presented by the gallery artists. 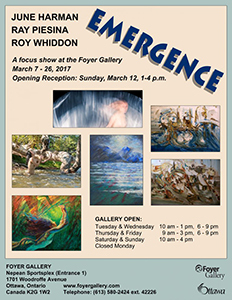 The show runs from February 14 to March 5, 2017. 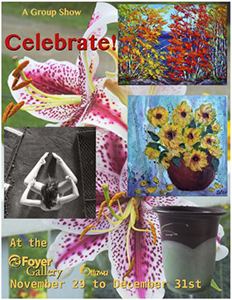 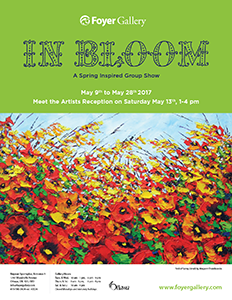 View the Viewers’ Choice Award recipient for this show! 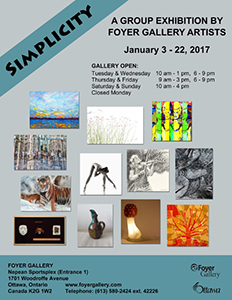 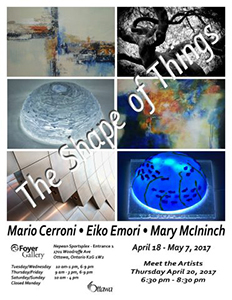 Simplicity is the first group show in 2017 featuring the Foyer gallery artists. 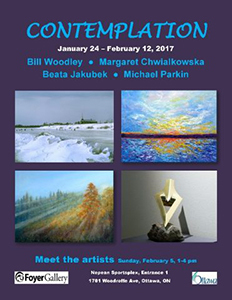 The show runs between January 3rd and 22nd. 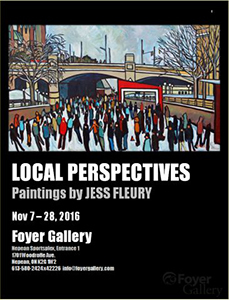 Local Perspectives is a solo show by Foyer artist Jessica Fleury, running between Tuesday, November 8 and Sunday, November 27, 2016. 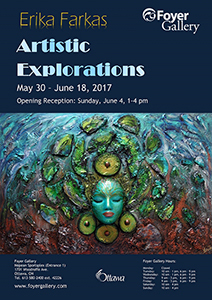 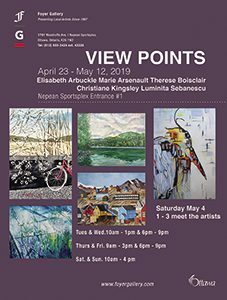 View the Viewers’ Choice Award recipient for this show!